Interested in getting your Kids enrolled in our Kids and Family Martial Arts Program? Family Martial Arts Center is minutes away from Danbury, Bethel and Brookfield. 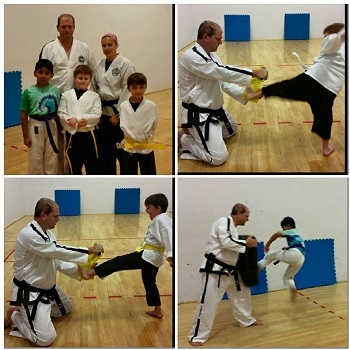 One of our most popular Martial Arts Programs is our Kids and Family Program. Families from around Bethel, Danbury, and Brookfield rely on Family Martial Arts Center to train their children. ​Our Kids and Family Program is available for students starting at age 6. 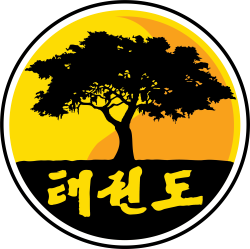 Students will learn traditional TaeKwon-Do techniques, patterns, partner sparring, basic Korean vocabulary, and so much more. Parents are invited to train alongside their children as well for free (just a one-time registration fee). Get ready for an incredible bonding experience with your child! Our kids martial arts classes help kids in many profound ways. In fact, self-defense is just the beginning. Mastering martial arts takes dedication & commitment – two traits that your child will use in all other areas of his/her life too. It also takes focus, respect & attention – traits that will help improve grades and promote helpfulness. Plus, kids have a TON of fun during every class. Your child is guaranteed to have a blast and make great friends along the way. We offer free trials, competitive tuition, and special family packages. ​Give us a call today at (203) 441-0808 or Contact Family Martial Arts Center.